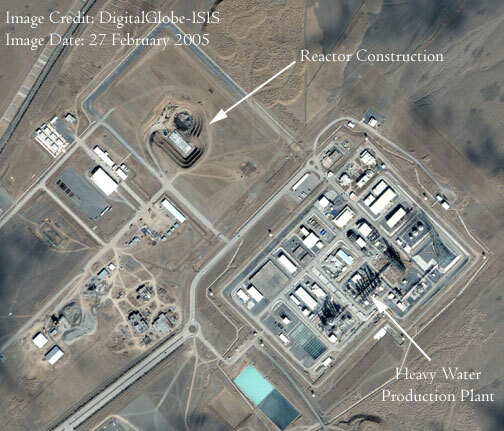 In his briefing to the IAEA Board of Governors on March 1, 2005, Pierre Goldschmidt, IAEA Deputy Director General and Head of the Department of Safeguards, said Iranian officials have, "indicated that the Heavy Water Research Reactor (IR-40) project is progressing." 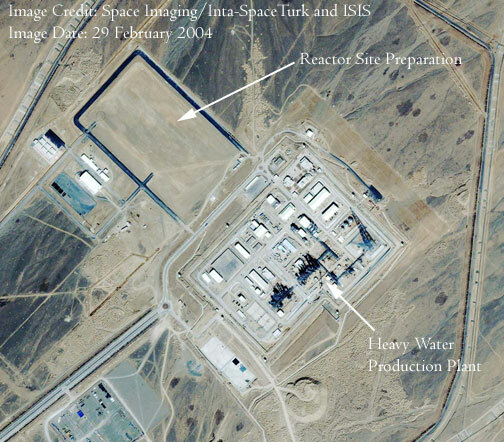 The IAEA board, in its September 2004 resolution, called on Iran "as a further confidence-building measure, voluntarily to reconsider its decision to start construction of a research reactor modified by heavy water." 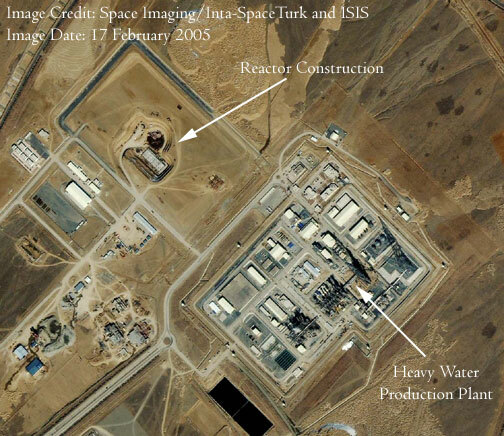 New satelllite imagery obtained by ISIS from Space Imaging and DigitalGlobe supports the Iranian statement and other statements of unnamed sources that, "Iran has laid the foundations for the research reactor at Arak," as reported by Reuters on March 3, 2005. Adjacent to the reactor construction site is the heavy water production plant, which is anticipated to supply the necessary heavy water for the heavy water reactor. The Secretary of the Iranian Supreme National Security Council, Dr. Hasan Rowhani, said on February 7, 2005 on Iranian television, "We may be able to produce heavy water soon, within the next few weeks."